Free flow energy healing is a hands on technique which uses the chakras, energy points and meridians to balance the flow of energy through the body. As well as helping to encourage the flow of cerebral spinal fluid, strengthen the energy centres of the body and balance and create a free flow of energy through the body, it also includes gait and postural correction as the energy flows correctly and allows the body to regain its natural alignment and mobility. If indicated vibrational medicines will be used to support the body and energies in their healing. Vibrational remedies can include crystals, flower remedies, sound, colour, orgon energy or homeopathy. 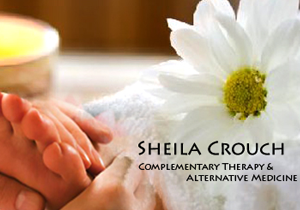 This is a deeply relaxing treatment that can be integrated with any of the other hands on therapies.